In case you have missed it, there is a Hellboy movie reboot in the works right now. Unfortunately, it is no longer Ron Perlman playing the half-demon superhero though we got someone who appears to be able to pull it off so far, his name is David Harbour. 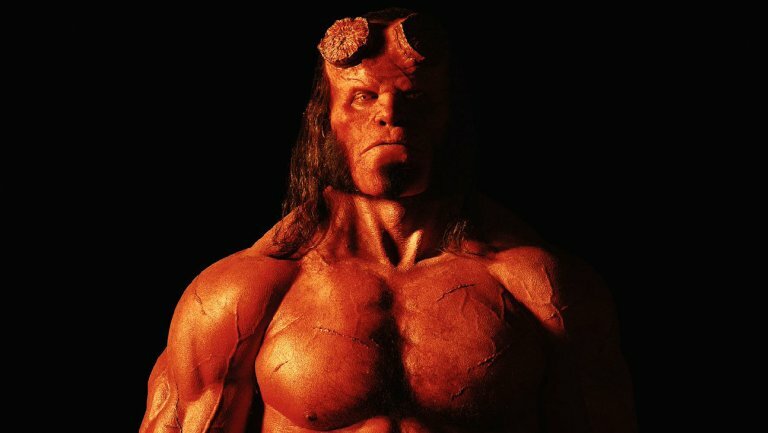 And today, we got our very first look at his version of Hellboy! See full image below. That's one hell of a boy! David Harbour is popular in portraying Chief Hopper on the hit Netflix series "Stranger Things". This Hellboy reboot is directed by Neil Marshall and is going to be an R-rated version, so we can expect a more badass and darker incarnation of the character than what we had in the first live-action adaptations. This reboot was initially titled as Hellboy: Rise of the Blood Queen, but was later changed to just Hellboy to probably avoid confusion with the original ones since it is set in a completely different universe. It will be co-starred with Milla Jovovich, Daniel Dae Kim, and Ian McShane. For a quick comparison, here's the first Hellboy we got played by Ron Perlman and director Guillermo del Toro. Lionsgate has officially announced that this Hellboy reboot movie will hit theaters on January 11, 2019.